He weighs just forty grams. hunts, loves and sleeps up there. is what old Brehm calls him. He drinks as he glides across the water's surface. He's in synch with the weather. but his swoop is swift. Our amazement is nothing to him. 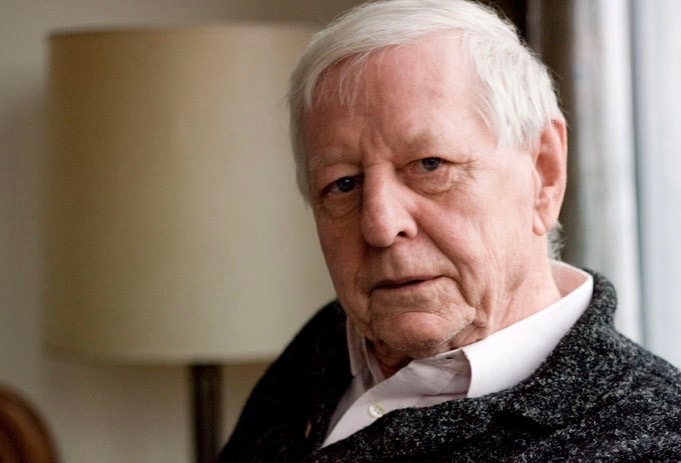 Born in Bavaria in 1929, Hans Magnus Enzensberger is the dean of German-language poets. This poem, which takes its title from the Latin name for the common swift, appeared in his 2010 collection, "Blauwarts. Ein Ausflug zu dritt." The reference in line 6 is to German zoologist and illustrator Alfred Brehm (1829-1884). Wonderful post! !German is one of the popular Languages in the world. Over 90million to 95million people are speaking this language. It is a West Germanic language mainly spoken in central Europe. It is primarily native to Europe country and also spoke worldwide German Diaspora. This German diaspora is abbreviated as geographical distribution of German speakers. German language is considered officially in major places are Germany, Austria, Switzerland, south Tyrol (Italy), and Liechtenstein; it is spoken officially but not majorly In some place like Luxembourg and Belgium.Thank you..! !